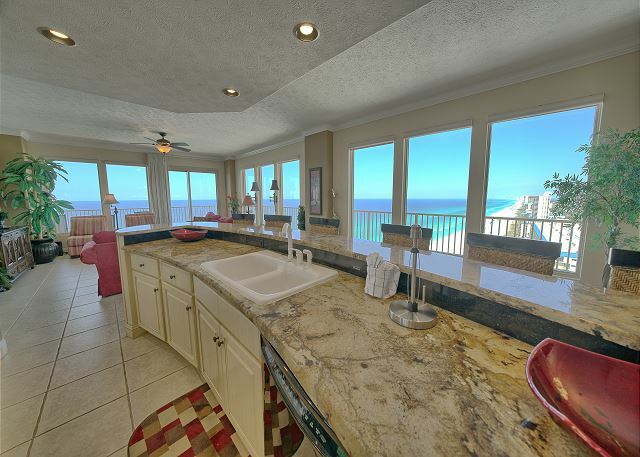 This Gulf Crest 21st floor condo has been updated. Granite counter tops in the kitchen. Plenty of seating in the living area. Plenty of dining seating. Fully stocked kitchen. King bed, queen bed in both guest bedrooms sleeper sofa, and twin bunk beds. 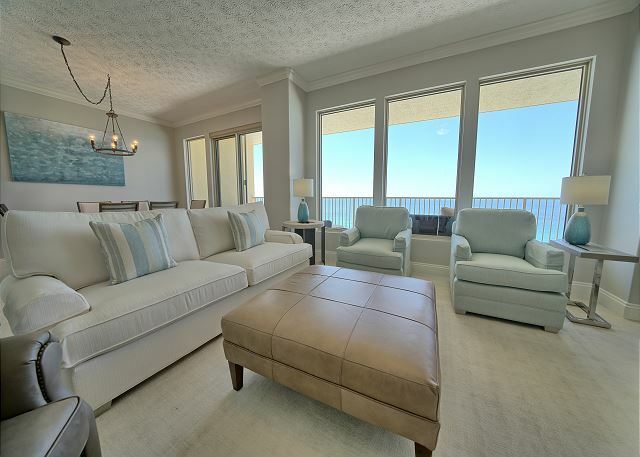 This haven of serenity offers guests stunning views of the sparkling Gulf of Mexico, the evolving sand dunes and spectacular coastline from every viewpoint. This stunning 16th floor condominium is in a gated community and in a great location. Looking for a fabulous family vacation. This should be your destination. This unit is recently remodeled and fully furnished. Located directly on the Gulf of Mexico.